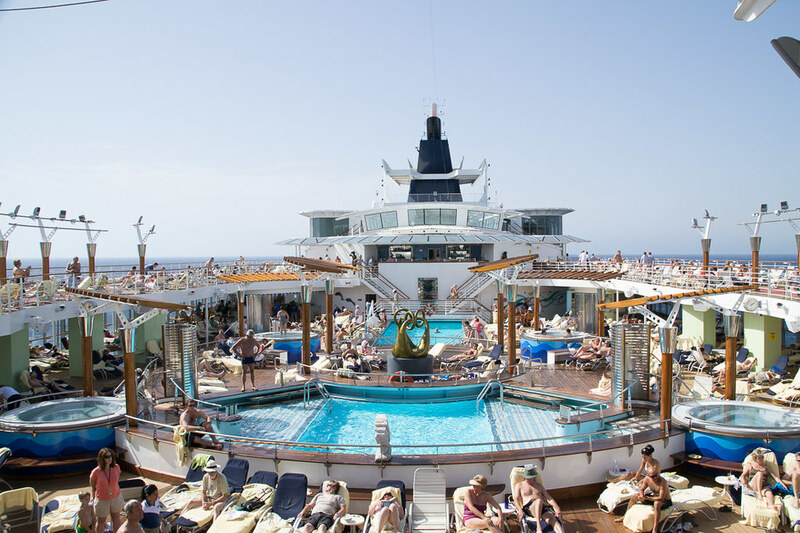 After spending a week in Spain, it was time to depart on our cruise out of Barcelona on the Celebrity Constellation, which would take us to Nice, France, as well as Portofino, Florence, Rome, and Pompei in Italy, and then back to Barcelona. 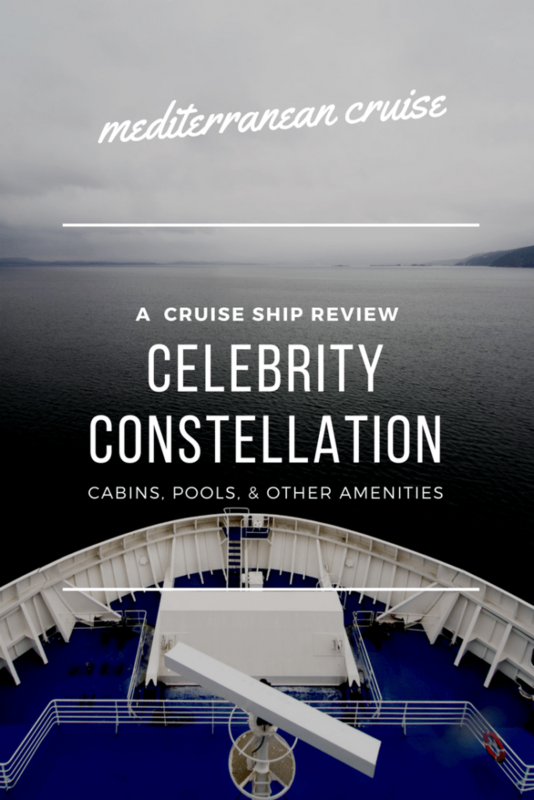 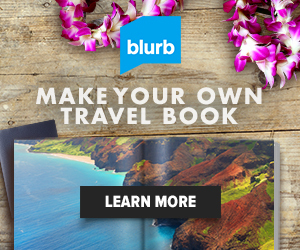 This trip was definitely pre-blogging (for instance, we didn’t take any pictures of our cabin), but hopefully you still find the review helpful! 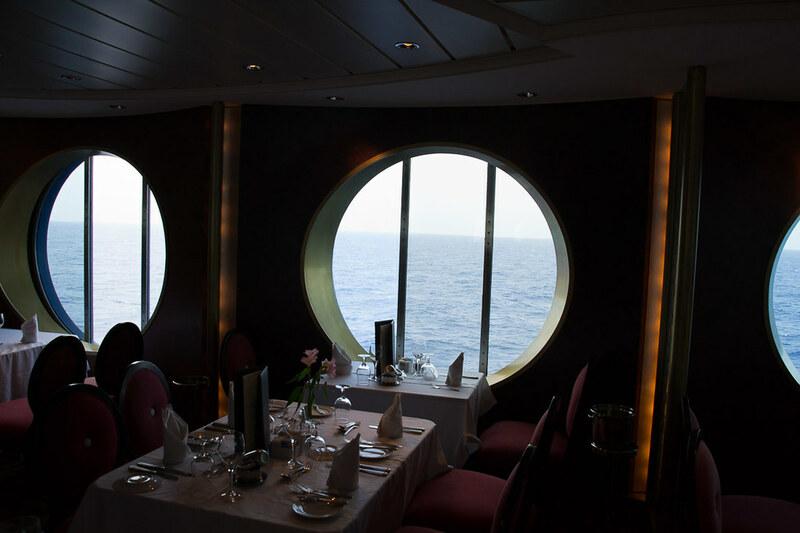 I believe we had a Deluxe Ocean View Stateroom (with no balcony / veranda). 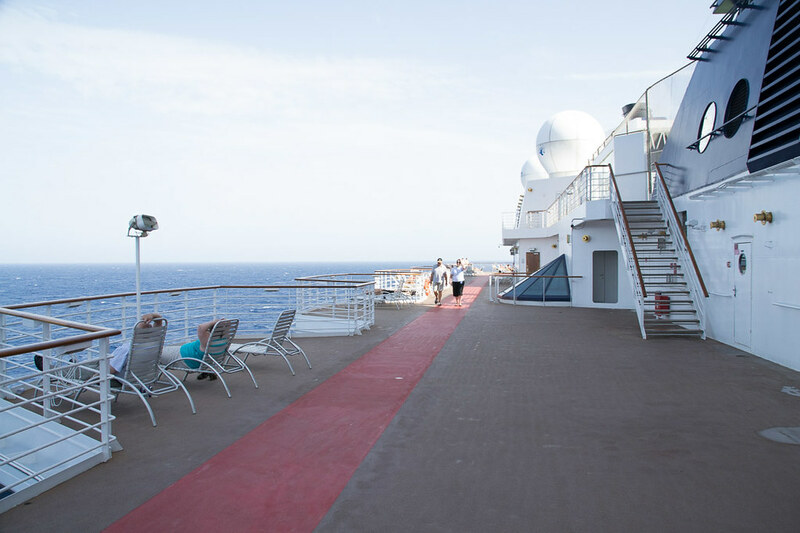 It was that trip that convinced us that staying in cabins with a balcony are really the only way to go. 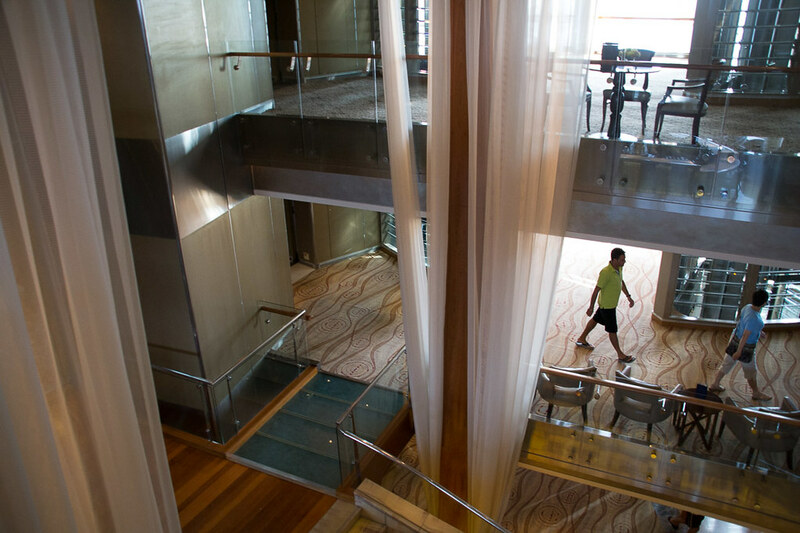 We had opted out of a balcony simply to save the two hundred bucks or so, but we definitely missed having a balcony, especially after our previous cruise cabin had a HUGE balcony. 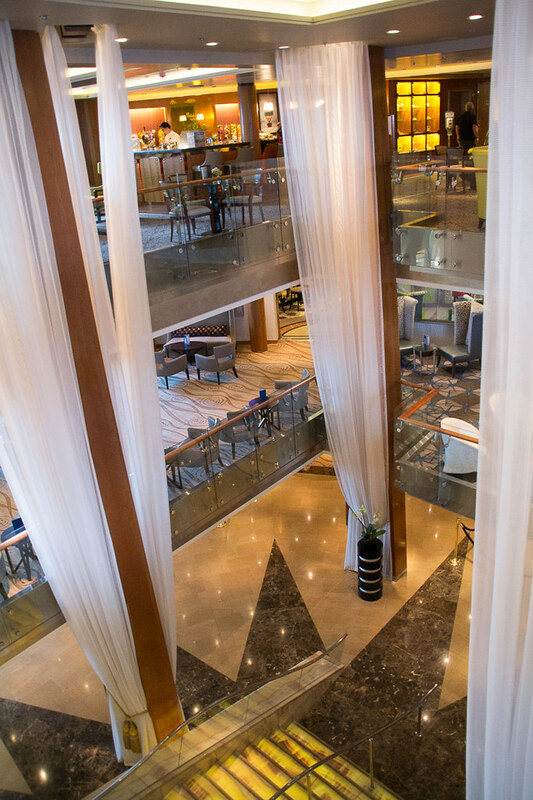 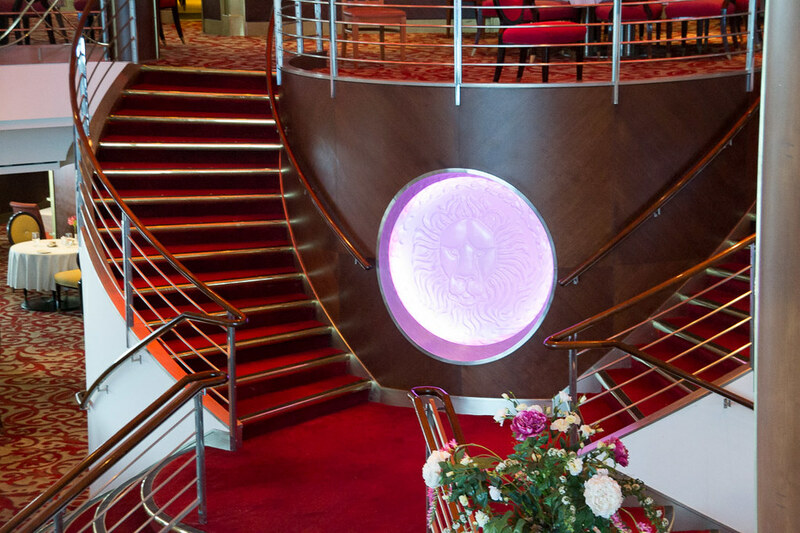 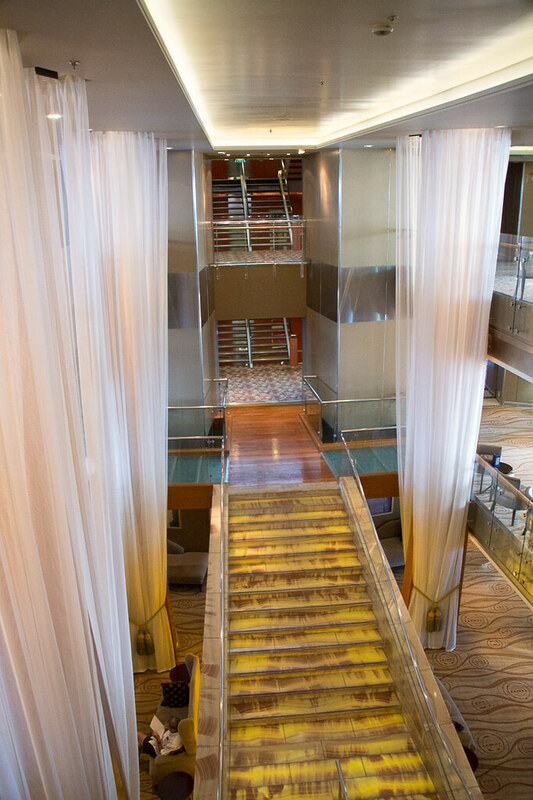 The kind of “main” area of the cruise ship is a three-story foyer with a large staircase in the middle. 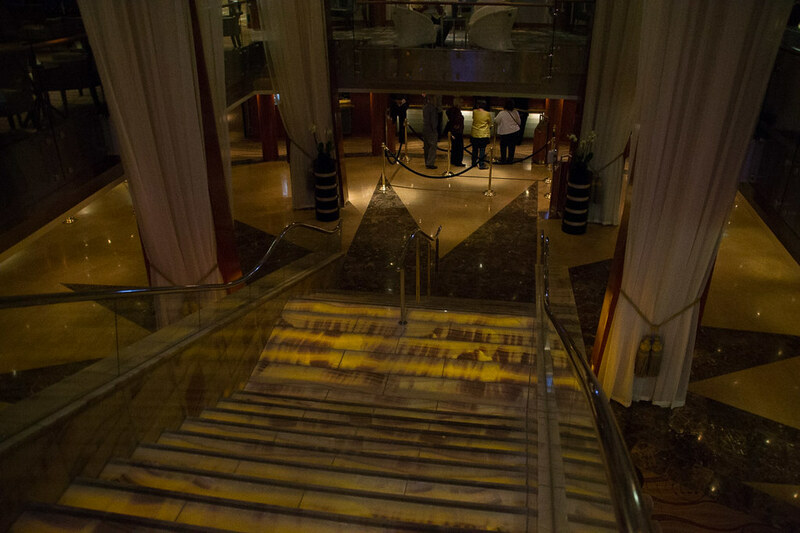 There were tables near the railings and other options to view all the activity in the Grand Foyer. 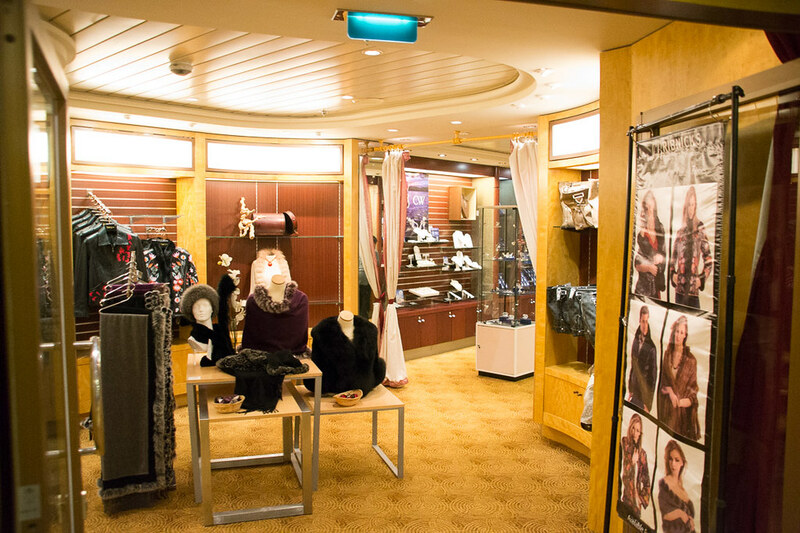 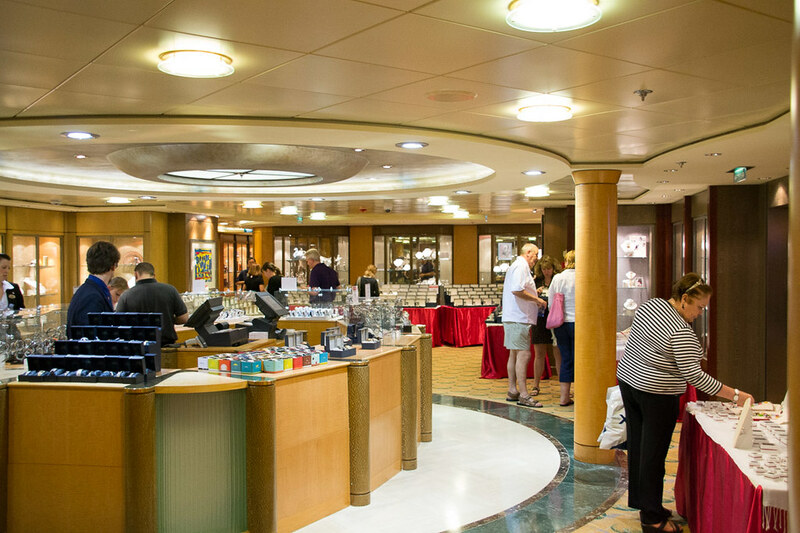 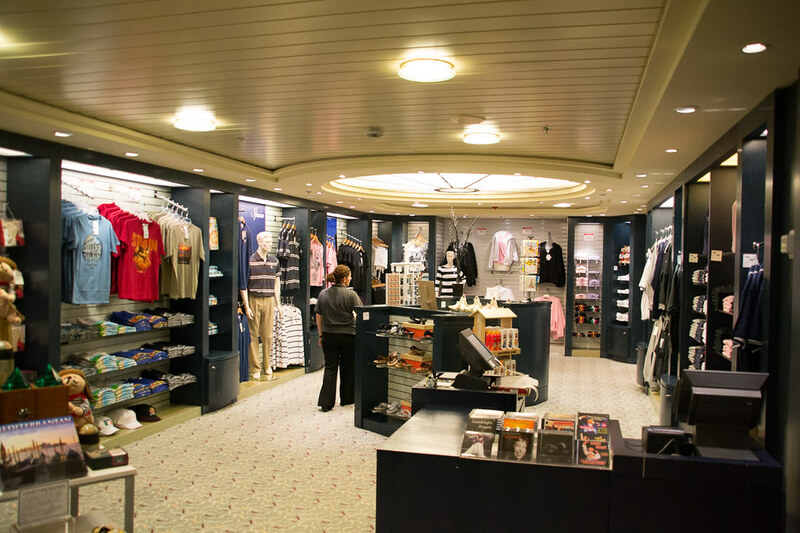 There is a small strip of shops on the Celebrity Constellation, called “The Emporium,” selling everything from souvenirs to jewelry and clothes. 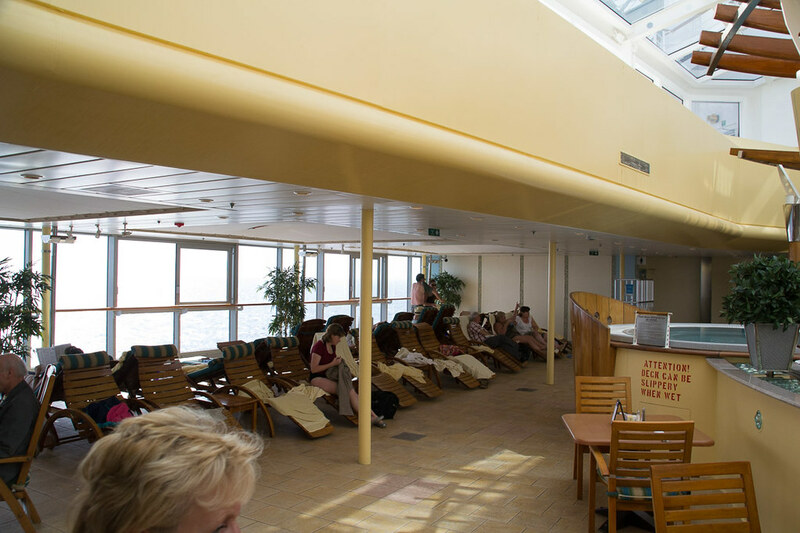 The swimming and sunbathing area of the Constellation was really fantastic. 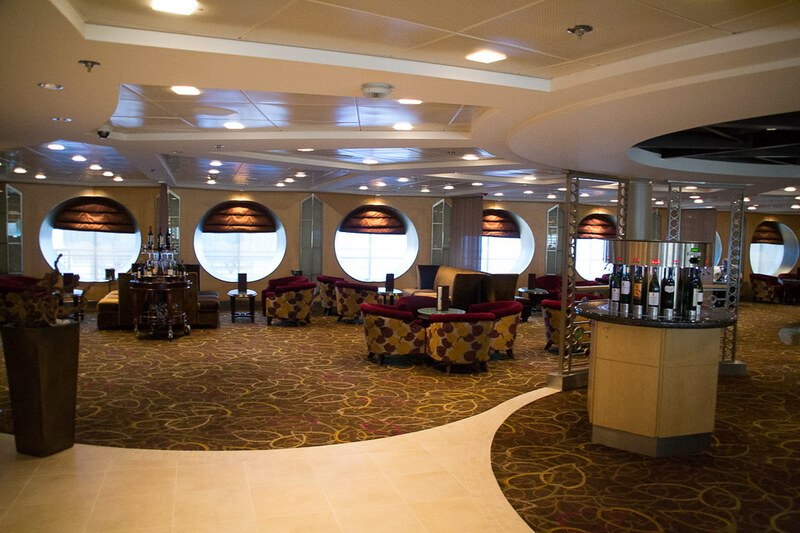 In fact, I’ve been on many cruises, and this has been one of my favorites. 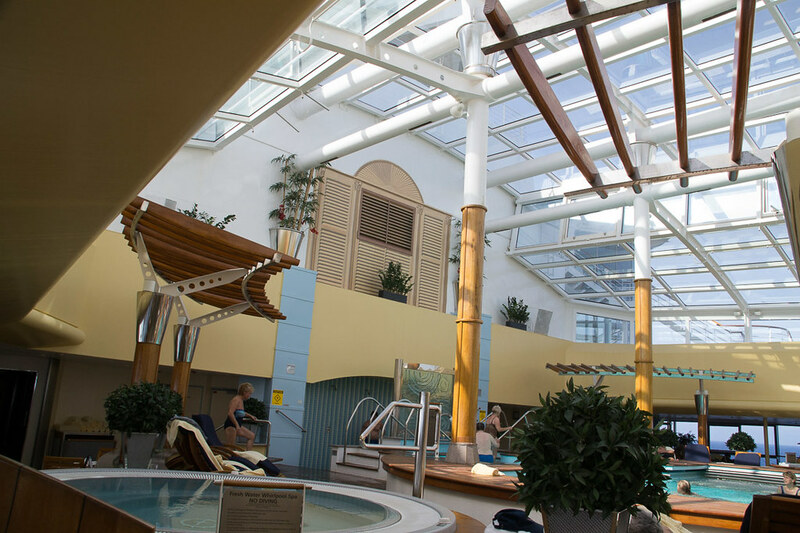 It had a fantastic layout, good size pools flanked by several hot tubs, and an amazing adult only pool area that was covered, but had a glass roof to allow the sun to shine in. 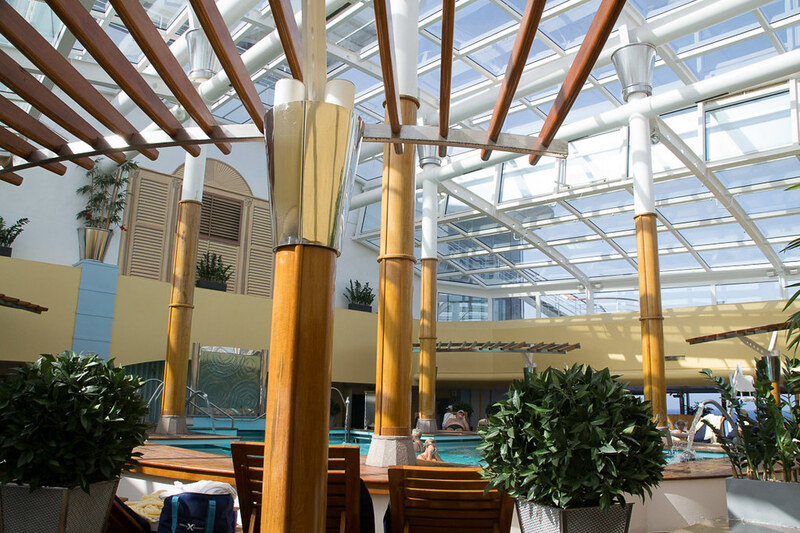 Here is the indoor, adults-only pool area. 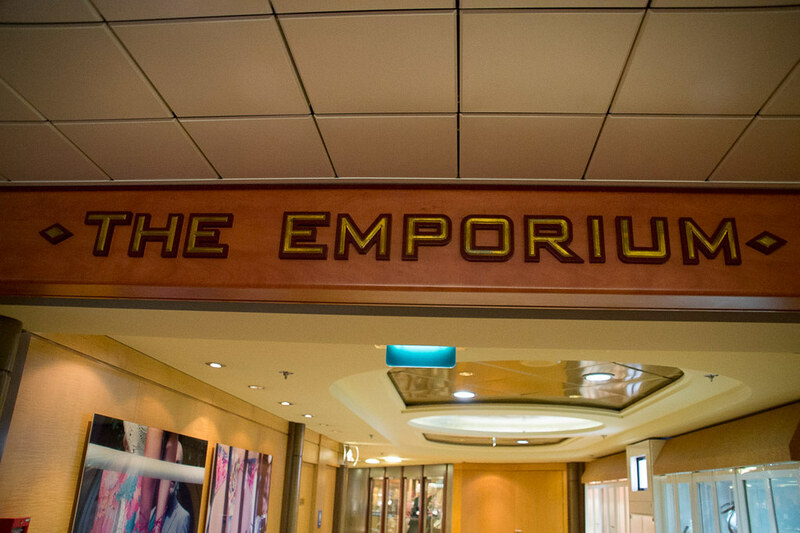 I spent a lot of time here! 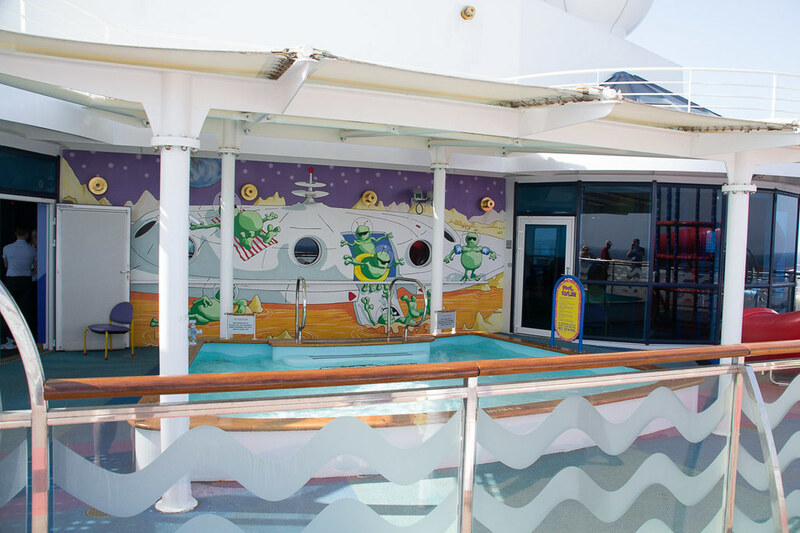 And, there was a great kids area that included some smaller baby pools and a some water slides. 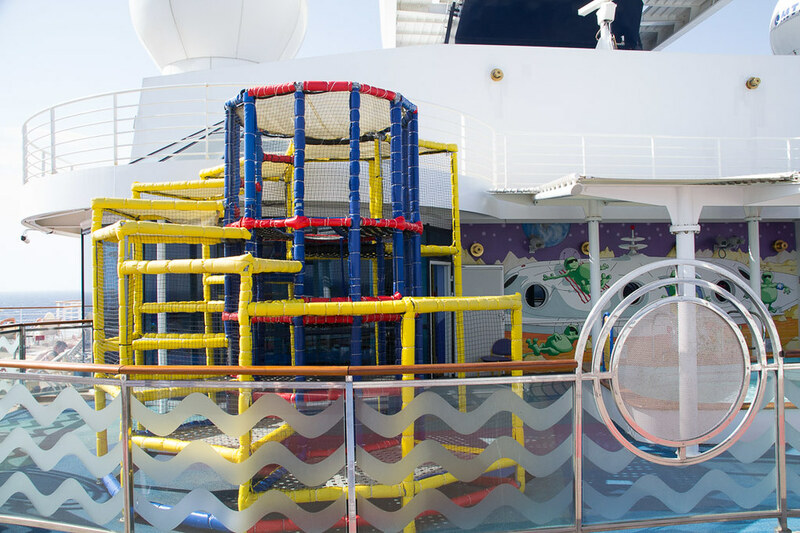 My four-year-old nephew thoroughly enjoyed that area! 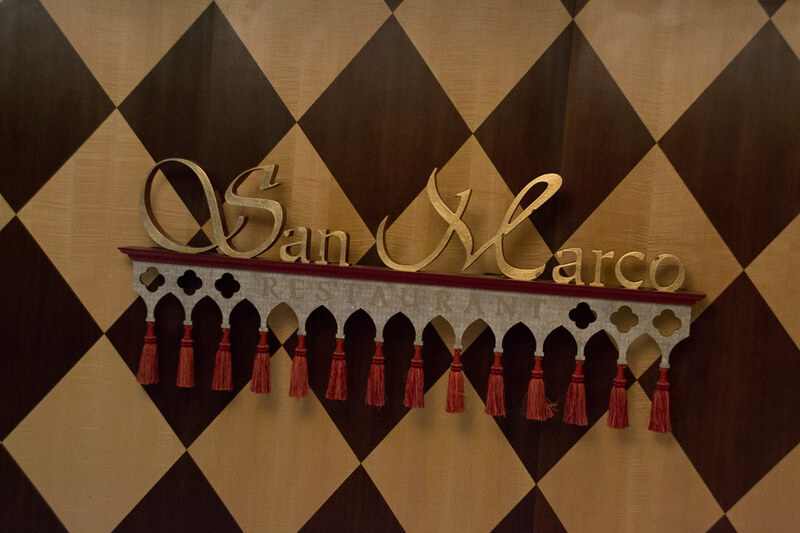 We did all of our onboard dining at either the buffet or the “standard” dining room, called the San Marco Dining Room. 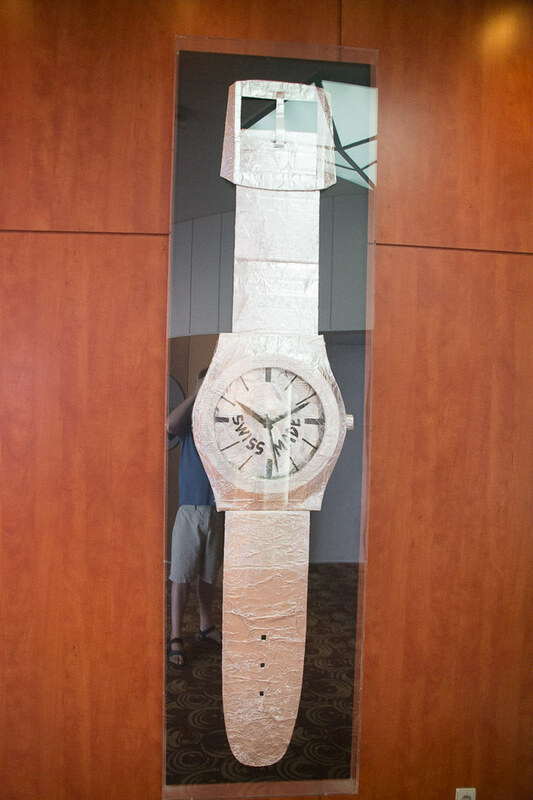 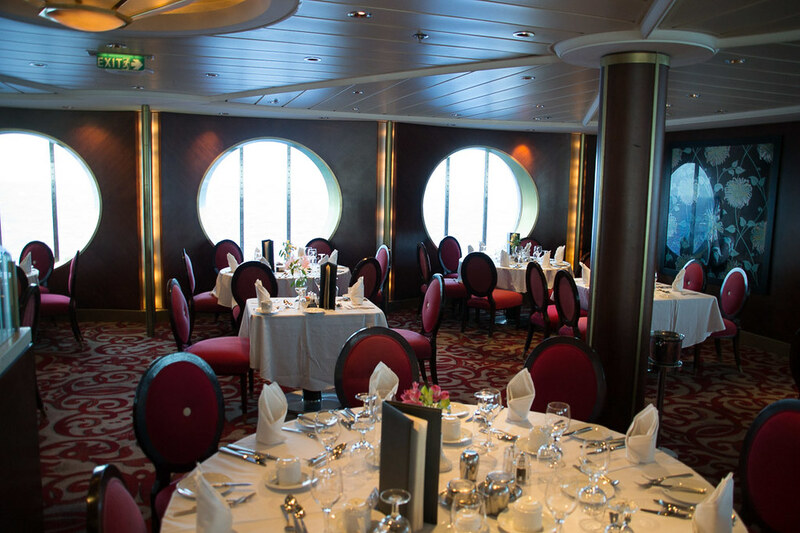 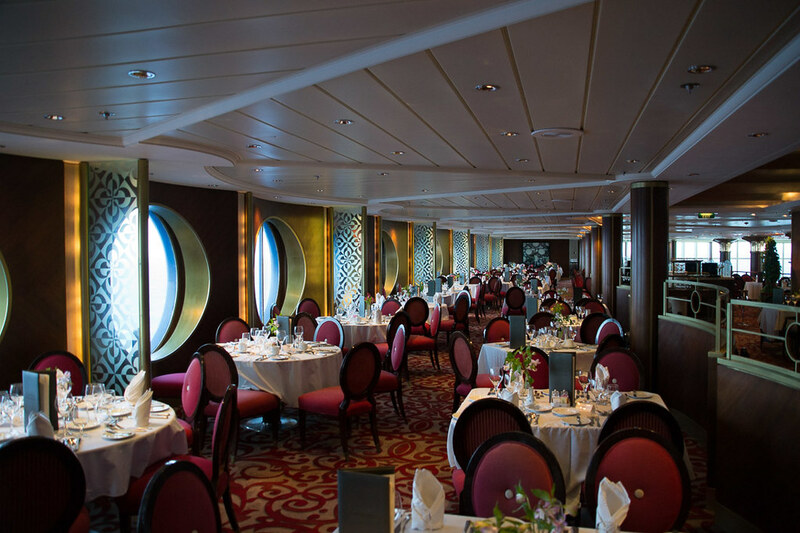 This was the first cruise we ever opted to do “anytime dining.” It sounded like a good idea. 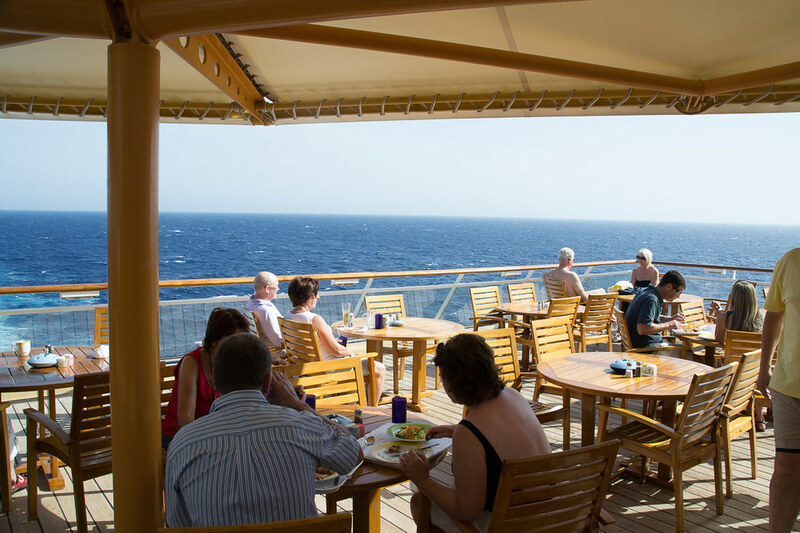 More flexibility in the evenings of eating when you wanted. 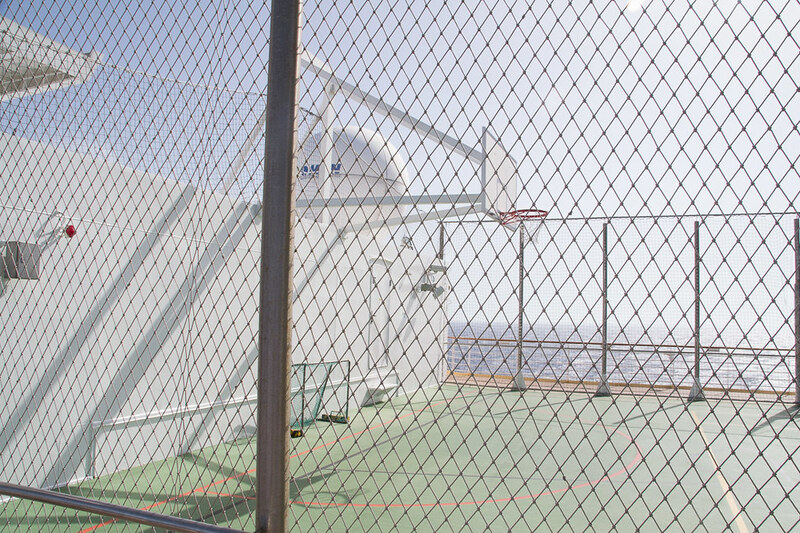 However, we pretty much hated it. 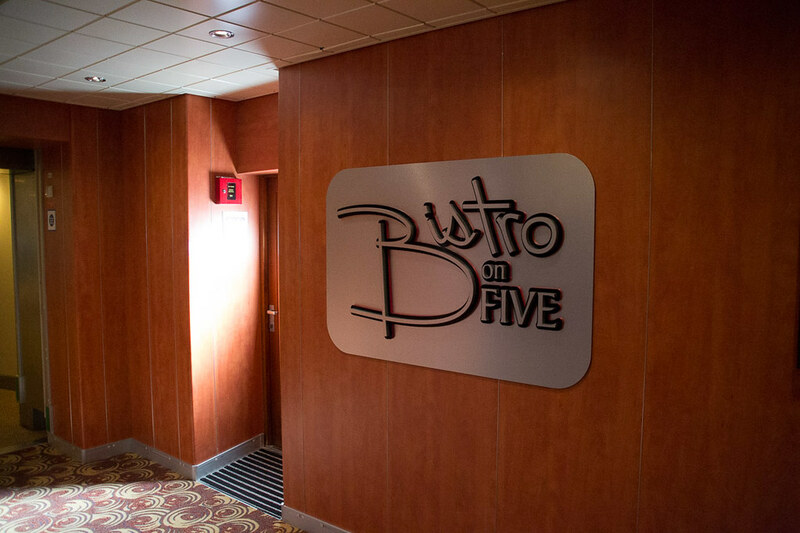 There was almost always a consistent wait of 20+ minutes for a table, and they didn’t take reservations. 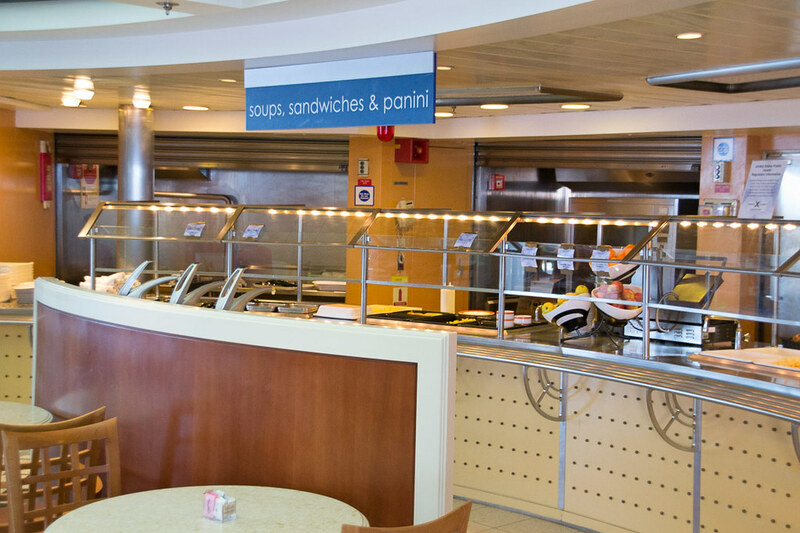 Annoying, especially when you’re starving after a long day of touring. 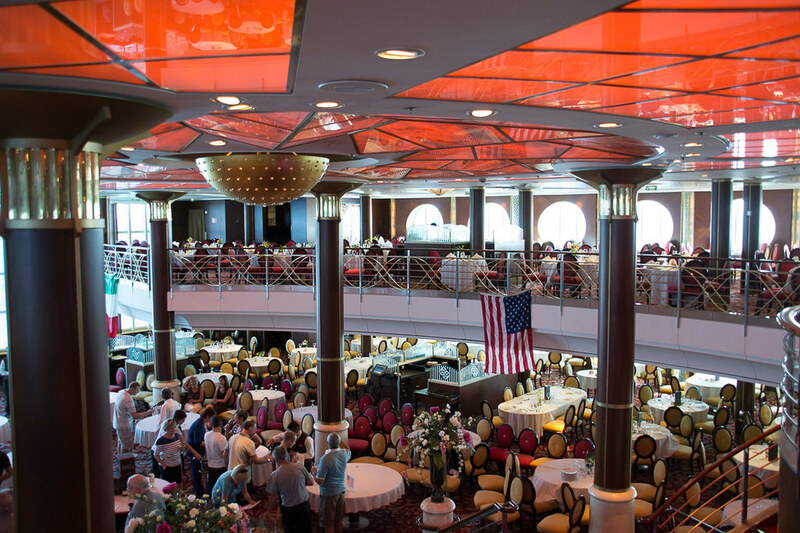 It was because of the wait that we ended up going to the buffet for dinner more often than the sit-down dining! 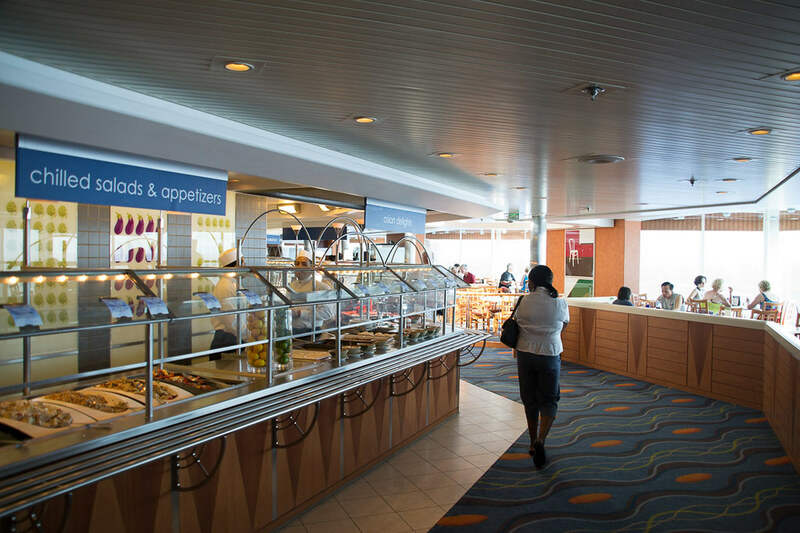 And here was the buffet area, which had plenty of indoor and outdoor seating options. 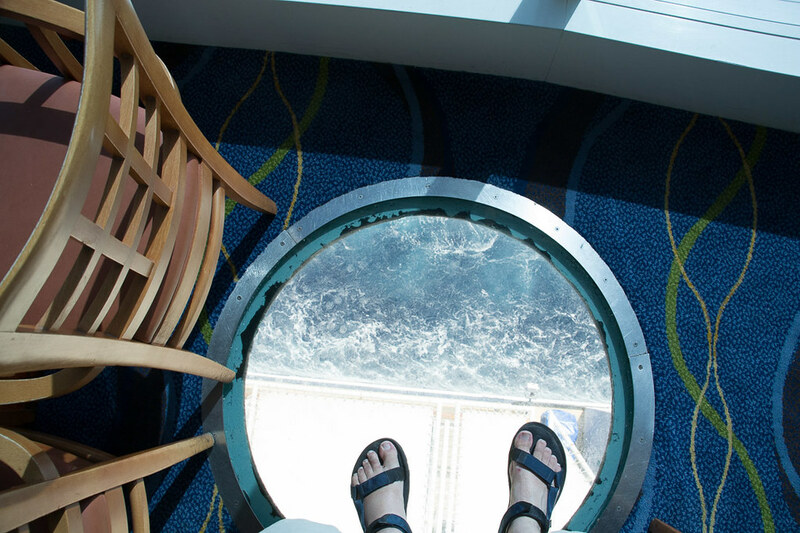 There was even a spot in the buffet with a glass floor! 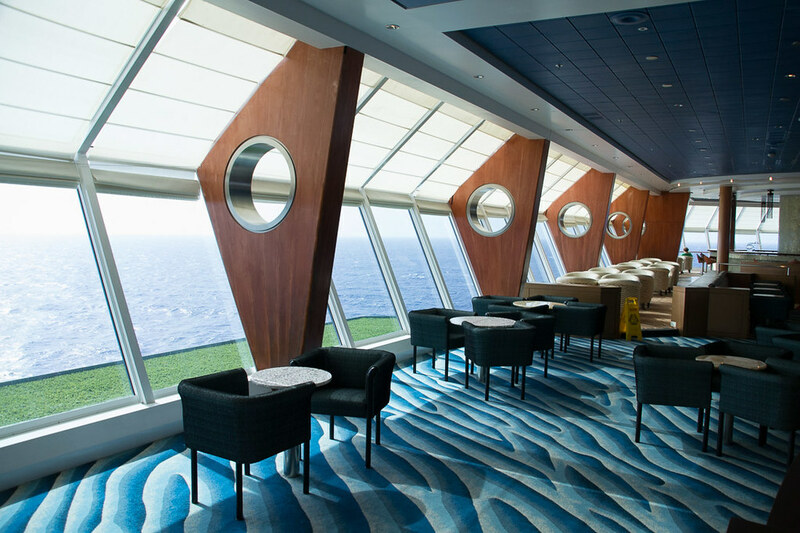 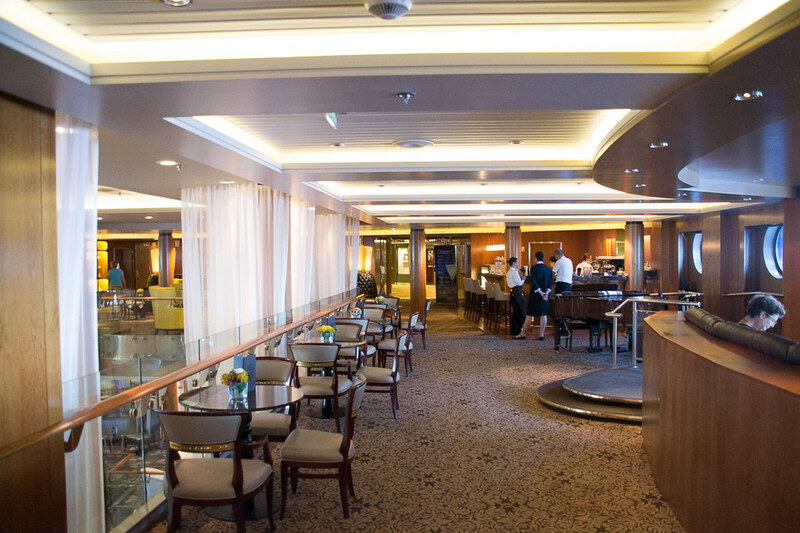 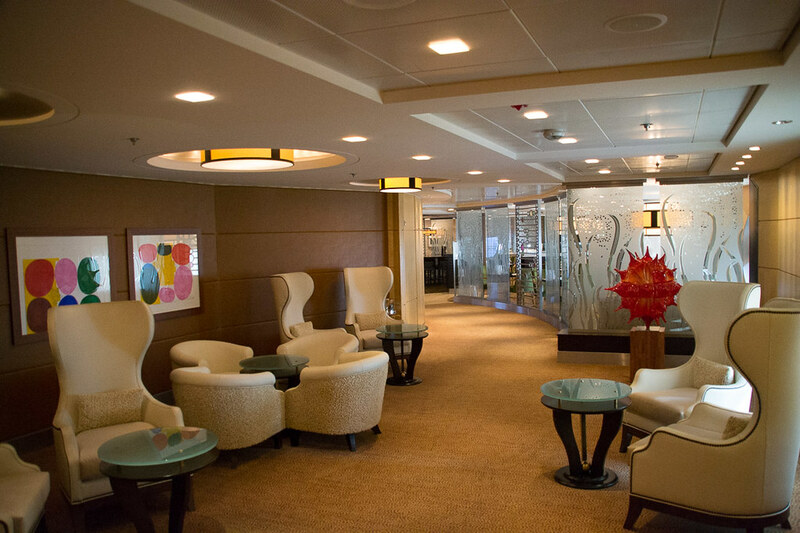 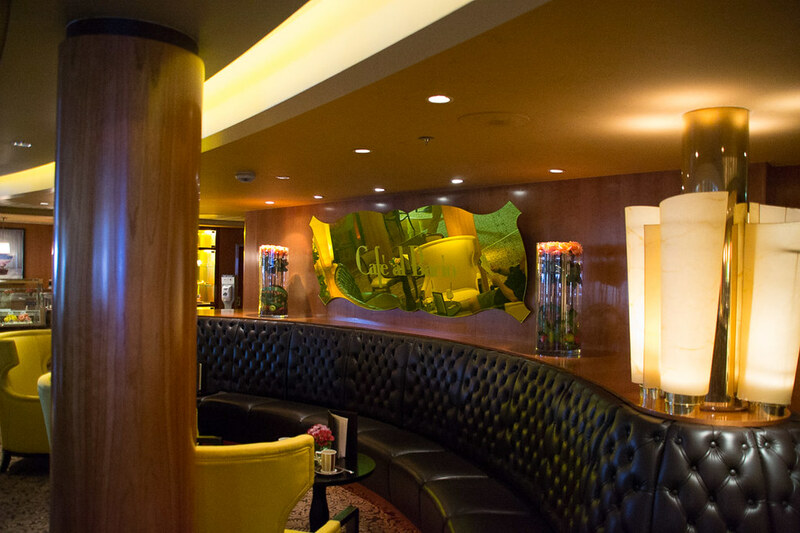 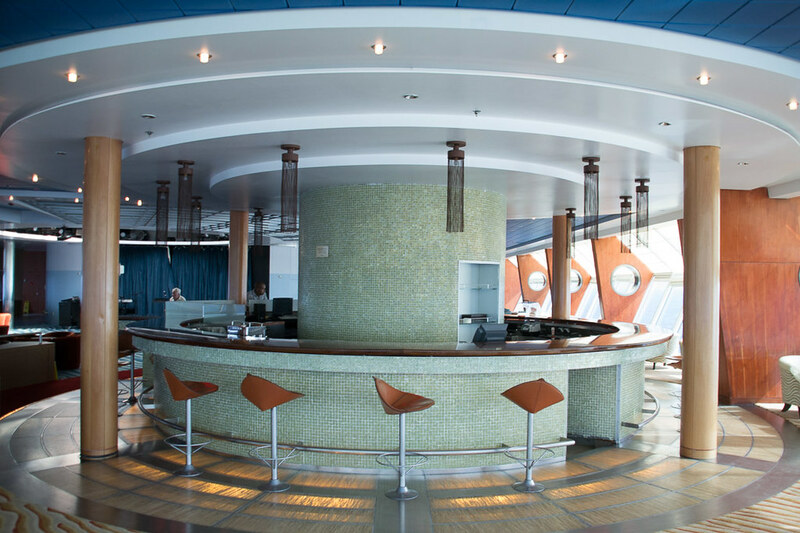 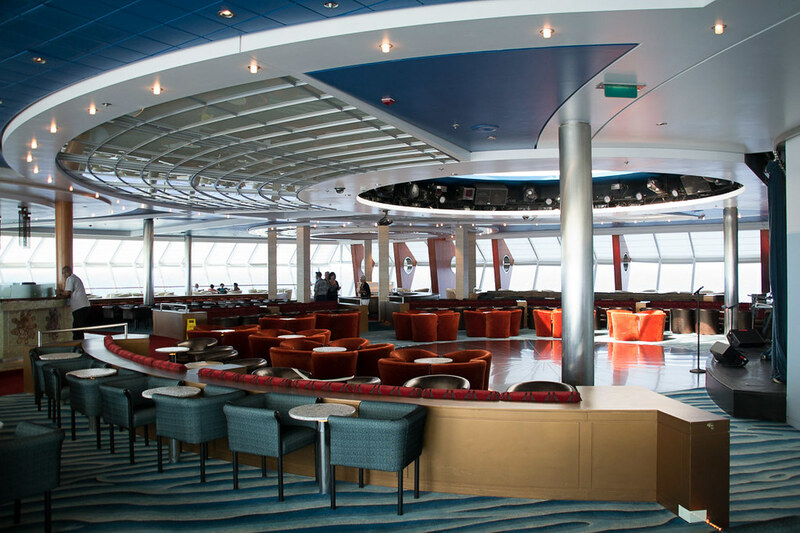 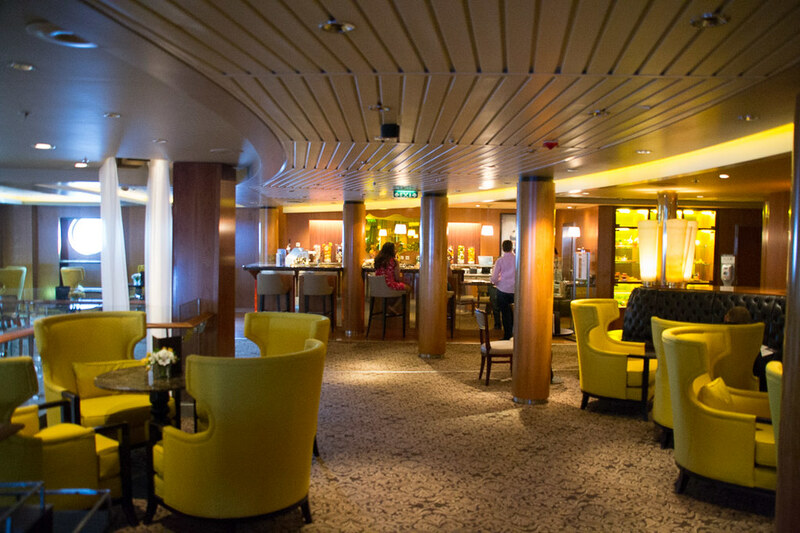 There are lots of bars, lounges, and restaurants on the Celebrity Constellation. 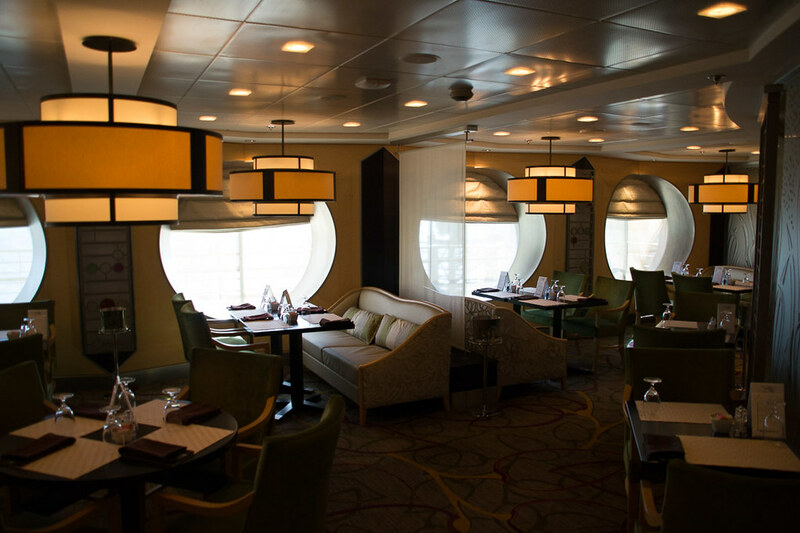 We stuck to the normal dining area and buffets (which are included in the price of the cruise), and didn’t opt for any of the dining options that are an additional cost, so we can’t really speak to how they are. 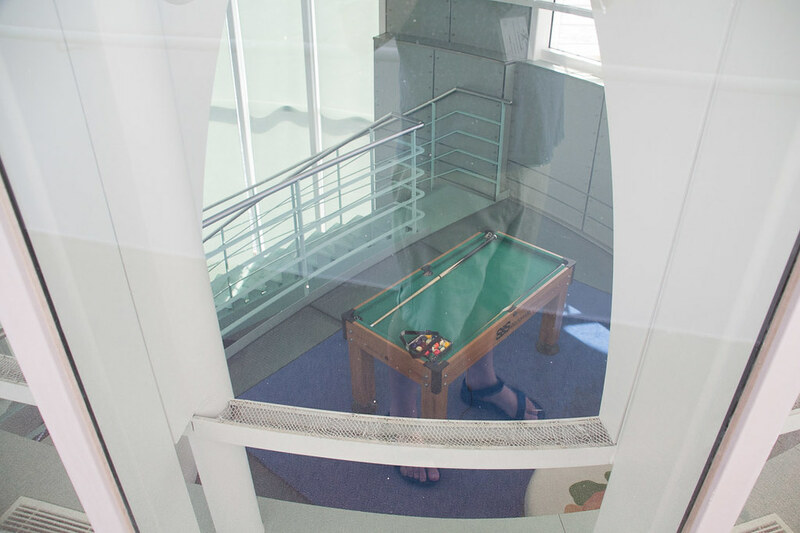 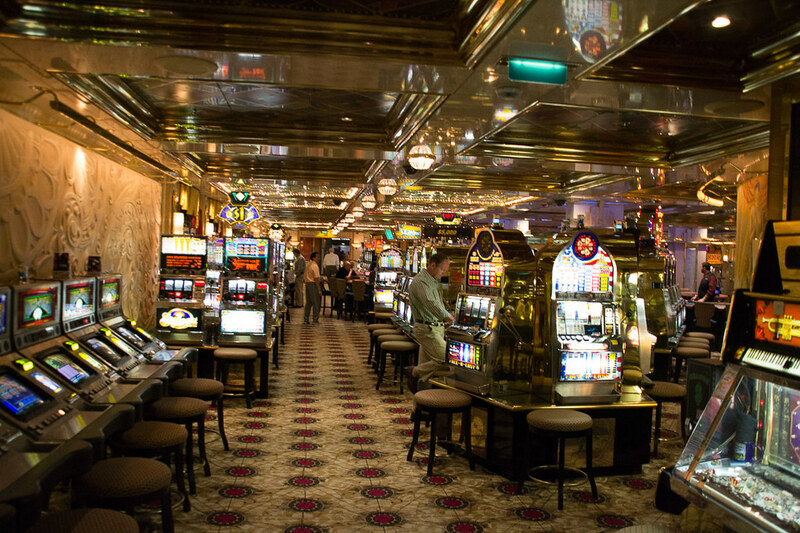 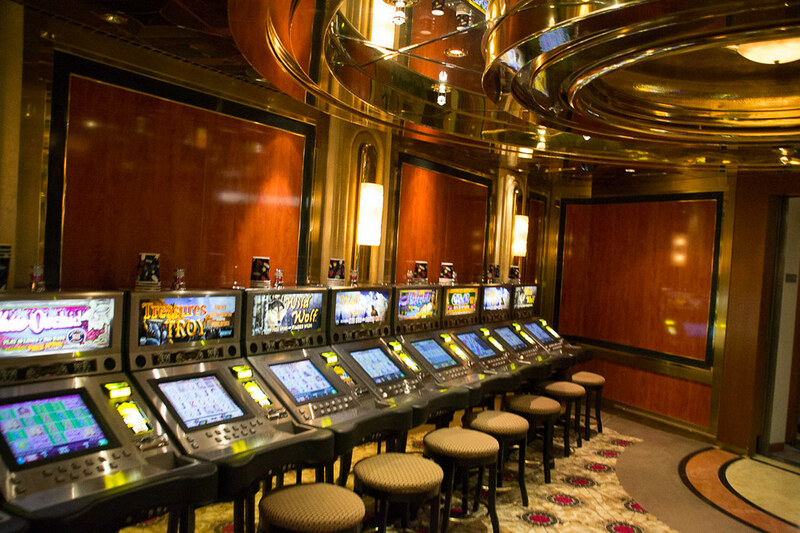 Ken and I aren’t into gambling, but we managed to take some photos inside. 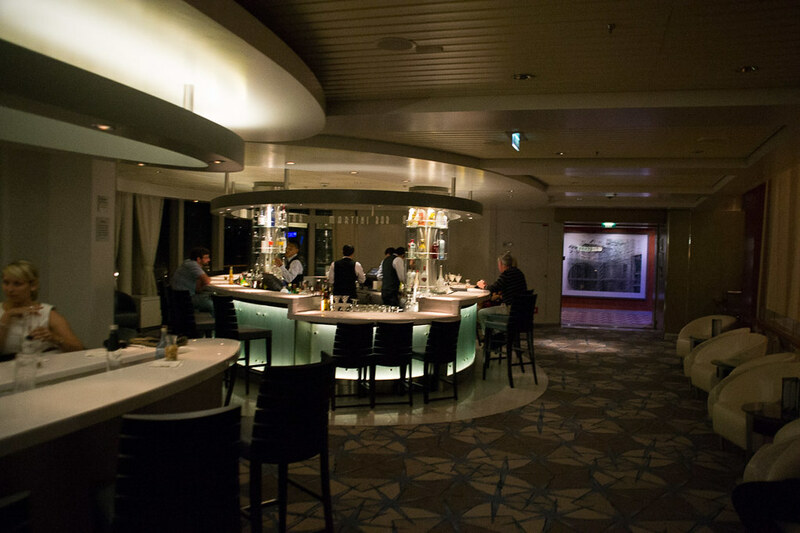 And here are a few photos that don’t really fit into any particular category! 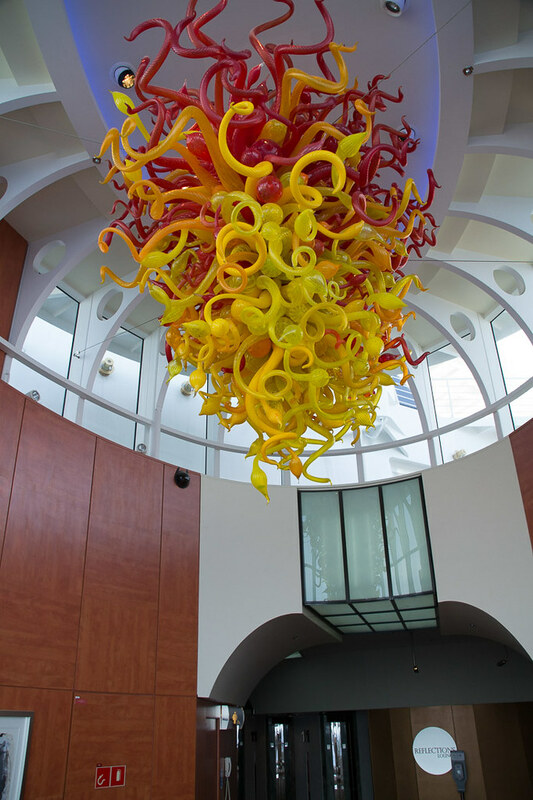 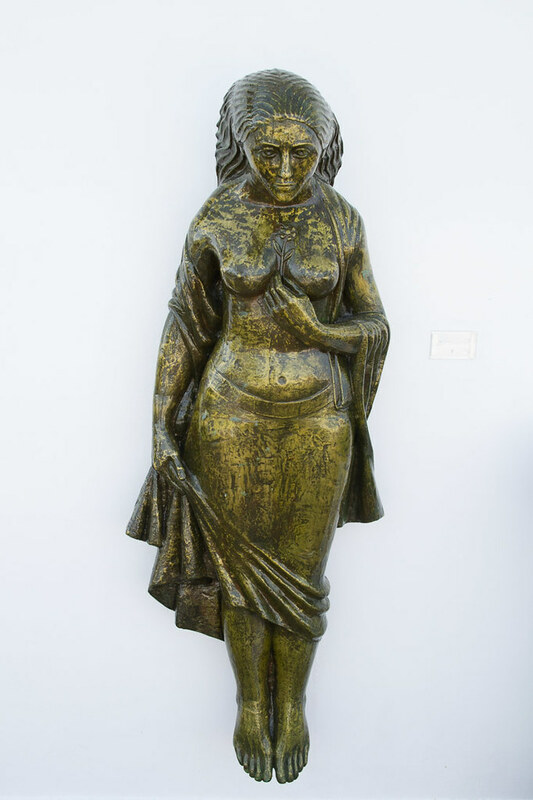 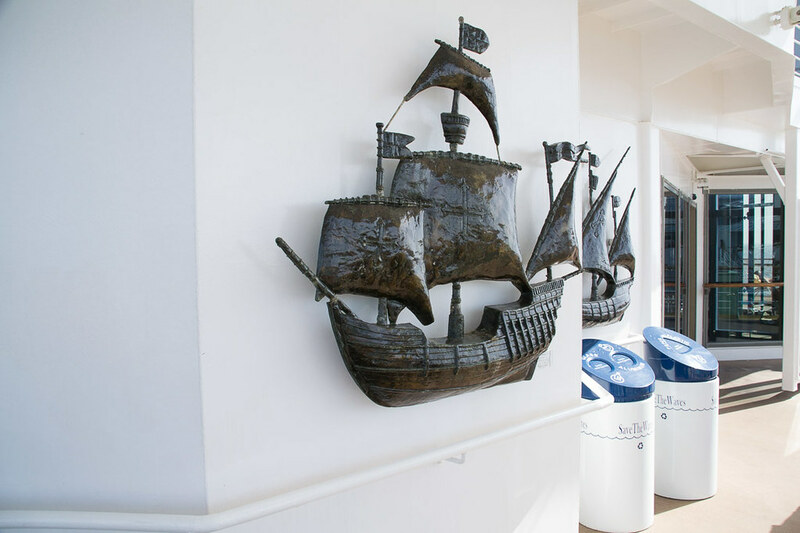 One of the things I found interesting on the ship was the interesting art and sculpture pieces onboard! 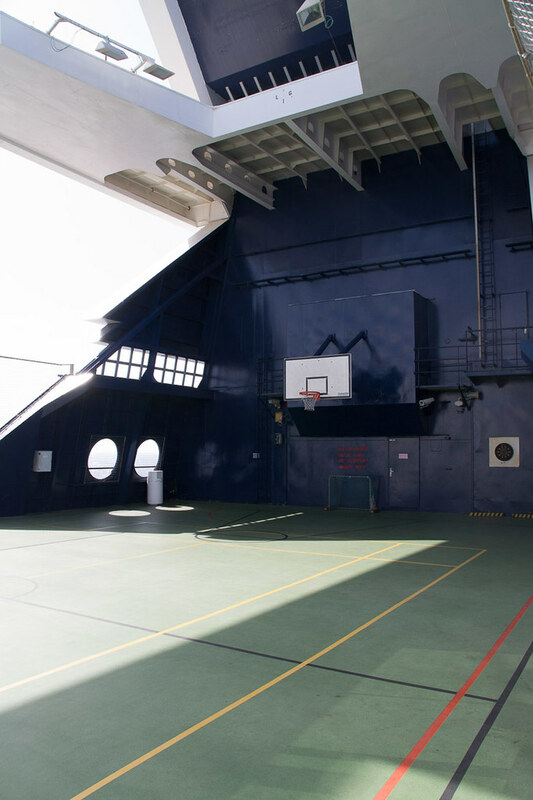 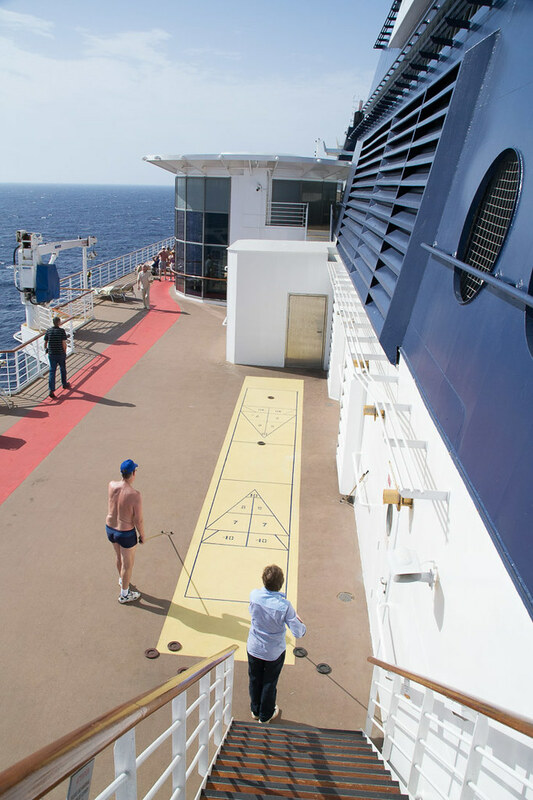 The ship was also home to a walking and running track, as well as a basketball court (which also had some hockey nets). 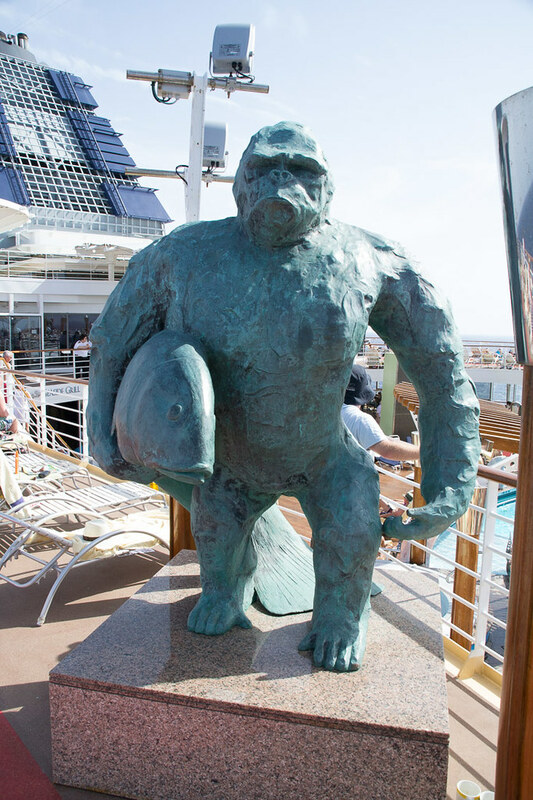 Overall, we had a great experience on the Celebrity Constellation. 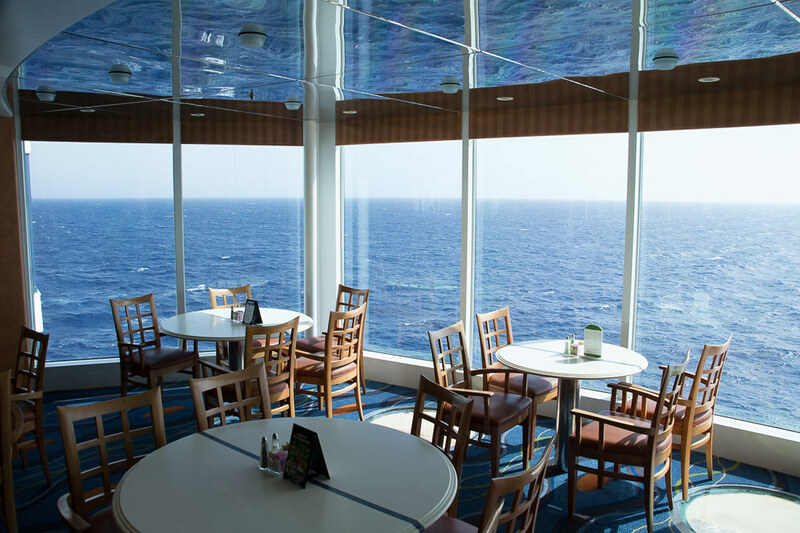 Except for the long waits for Anytime Dining, we didn’t really have any complaints. 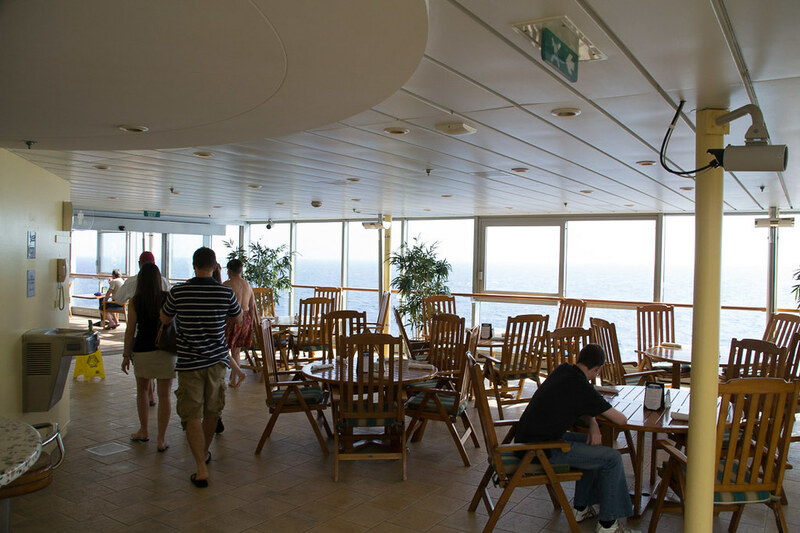 We do wish we had sprung for the room with a balcony, but that was our fault! 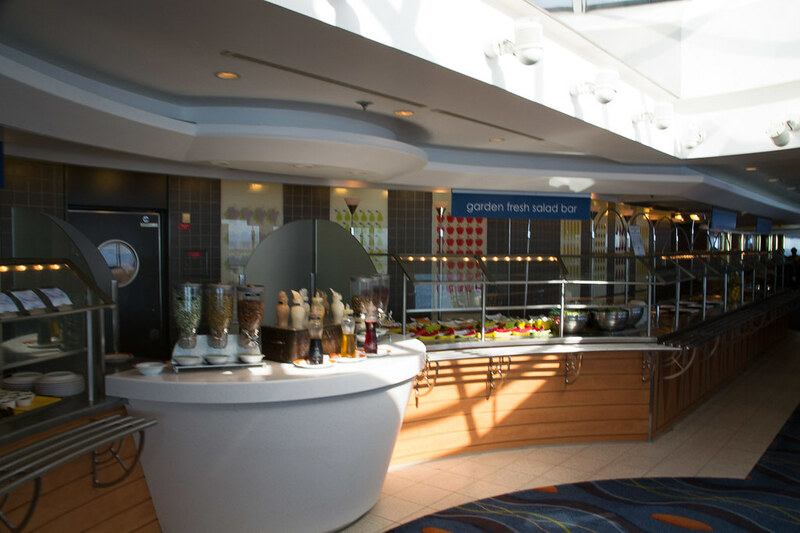 The food was great, the midnight buffets were stellar, and they even had a grand “brunch” buffet one morning that was spectacular. 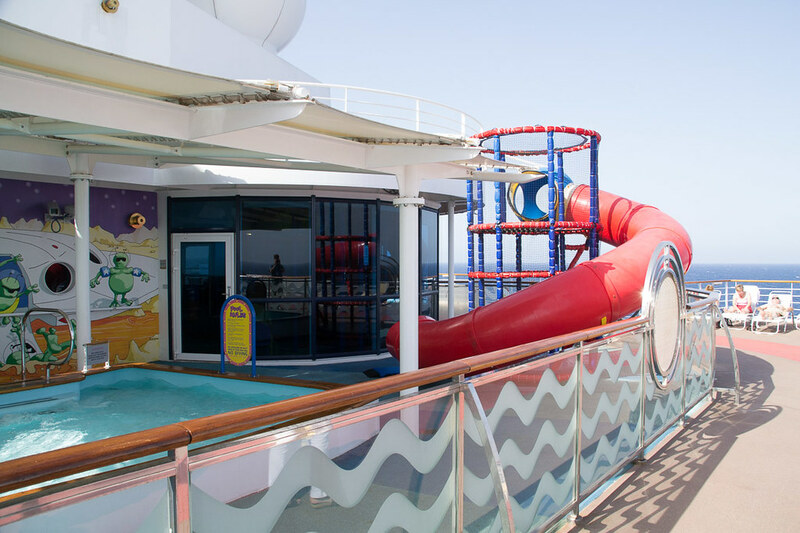 The ship didn’t have quite the same “wow factor” as our previous cruise ship, Royal Caribbean’s Adventure of the Seas, but that’s just a product of the Mediterranean Cruise market. 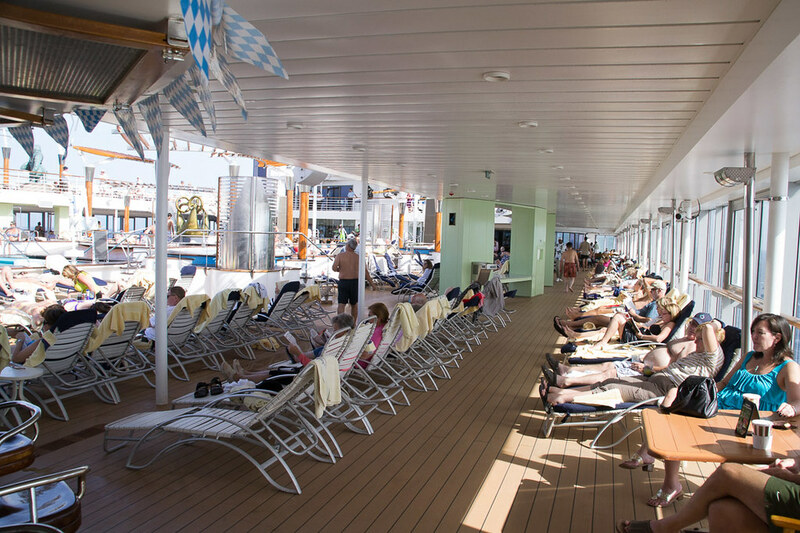 Smaller ships for smaller crowds! 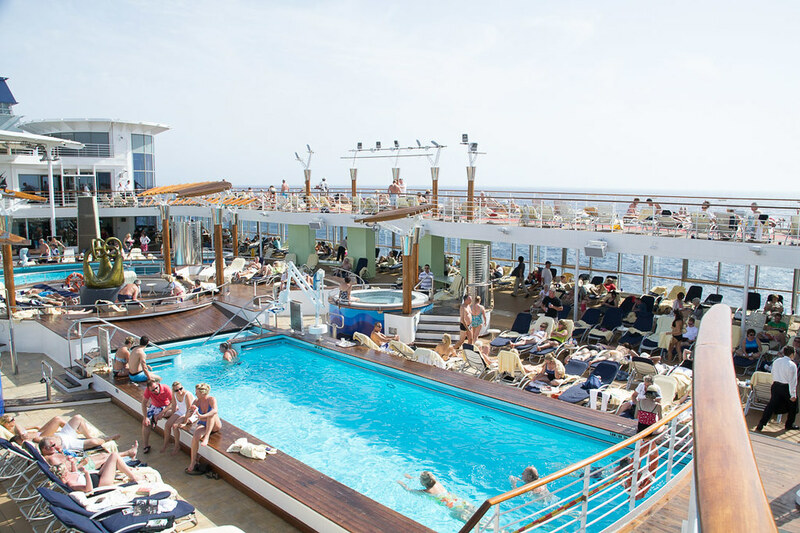 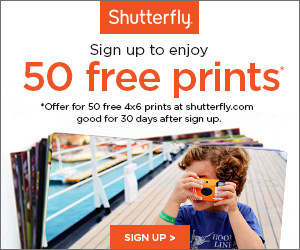 I’d definitely go back on a Celebrity Cruise.